Oregon based nonprofit SMART (Start Making a Reader Today) is expanding their program to pair community volunteers for one on one reading support with Pre-kindergarten through 3rd grade students. As part of the Silverton Oregon Child Development Coalition, the program gives children books to take home as well, noting that early literacy is lined to success in both school and life. It is never too young to introduce your little person to all sorts of literature. “One of the greatest gifts adults can give — to their offspring and to their society — is to read to children.” This is a useful article about a new program to encourage reading in school aged children, which many parents will find useful. With a 25 year history, the program has served nearly 190000 kids using 125000 volunteers to create positive literacy outcomes within the schools that are supported. Though it is not focused on teaching reading, the joy and excitement of the program is designed to foster an interested in and love for reading early in life. There are volunteer opportunities available. While speaking of the importance of reading and literacy, Start Making A Reader Today® (SMART) Executive Director Chris Otis quoted Carl Sagan: “One of the greatest gifts adults can give — to their offspring and to their society — is to read to children. Start Making A Reader Today® (SMART) says the best thing we can give our children is literacy. SMART is based out of Oregon and works with only volunteers. 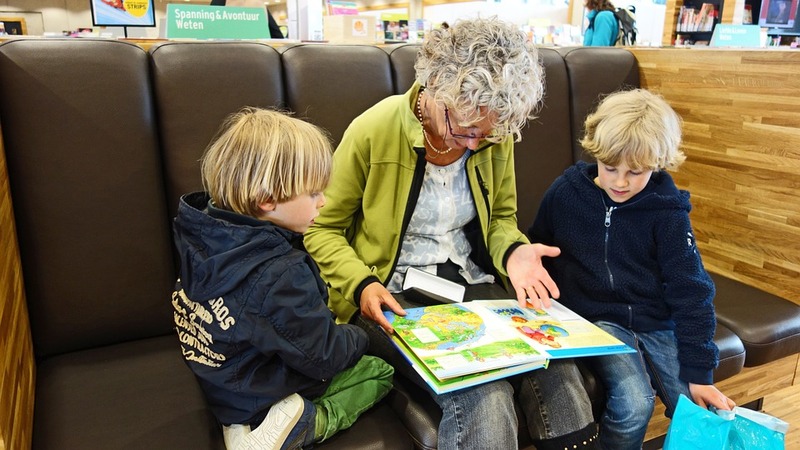 The community volunteers offer one-on-one reading for younger children.